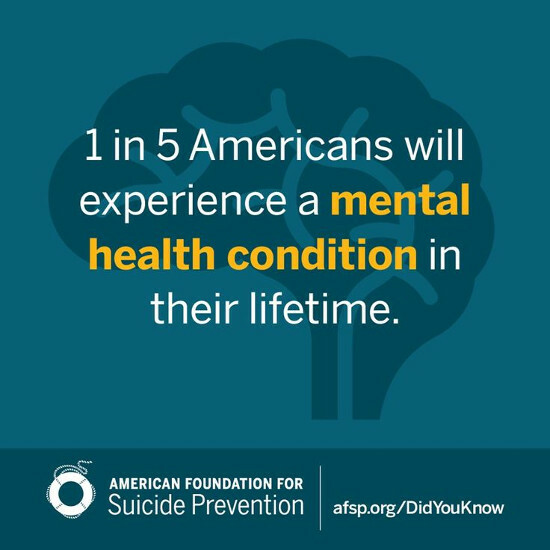 One in five Americans will experience a mental health issue in their lifetime. According to current census figures, that's approximately 65 million people, in one country. Still think you're all alone? If you or someone you know is in crisis, please call the National Suicide Prevention Lifeline at 1-800-273-TALK(8255) any time day or night. If you are in the USA, you can also text HOME to 741741. Someone is always there. You are not alone.